Time horizon (100 years): The amount of warming the same mass of gas will contribute compared to C02 over a 100-year time span. from fires or pollutants are common aerosols. Incoming sunlight is blocked by aerosols blown high into the atmosphere by large volcanic eruptions. In the lower atmosphere, wind-blown dust and pollutants reflect and scatter incoming sunlight, while other aerosols, such as smoky soot, absorb it. 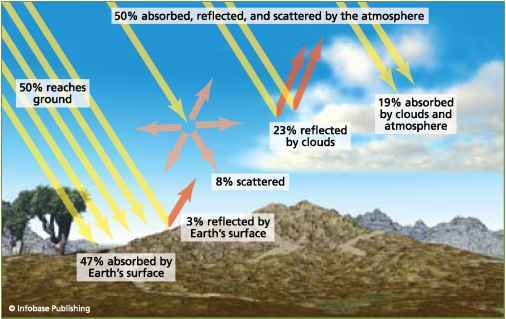 Aerosols have a variable effect on climate because of the way they react to sunlight: Those that reflect sunlight cool the atmosphere while those that absorb sunlight warm it. Because gravity holds gases in Earth's atmosphere, the gases are densest near the planet's surface and become less dense at higher altitude. However, the makeup of atmospheric gases is nearly the same at all altitudes. But, despite its being similar in composition, the atmosphere is divided into layers, primarily according to how the temperature changes with altitude. The layer nearest to Earth's surface, rising from sea level to about 6 miles (11 kilometers), is called the troposphere. Its primary heat source is the Earth's surface, so the troposphere generally displays a decrease in temperature with altitude. The stratosphere rises from the top of the troposphere to about 30 miles (45 km) up. Because this layer is heated by the Sun's UV, the stratosphere gets warmer closer to the Sun. The stratosphere contains the ozone layer: This is the exception to the rule that the makeup of the atmosphere is the same at all elevations. This layer, which lies between 9 and 19 miles (15 and 30 km) up, contains a relatively high concentration of ozone molecules. Ozone in the stratosphere is known as "good" ozone because it serves as a protective shield for life on Earth by absorbing the lethal high-energy UV radiation. Water moves continually between Earth's water reservoirs: the atmosphere, organisms, terrestrial water features (such as lakes and rivers), and the oceans. The movement of water between these reservoirs is known as the water cycle. Much of Earth's water is stored in the oceans, which cover 71% of the planet's surface. (All seawater and a small amount of lake water is saline, or salty.) The Sun's rays evaporate liquid water from the sea surface into the atmosphere, where it exists as water vapor gas. When conditions are right, water vapor undergoes condensation from gas into liquid droplets to form clouds. The droplets can come together to create precipitation in the form of rain, sleet, hail, snow, frost, or dew. When precipitation falls as snow, it may become frozen into a glacier, which is a moving body of ice that persists over time. Glaciers form when annual snowfall exceeds annual snowmelt. Each winter snow falls and is compressed into firn, a grainy, ice--like material. If summer temperatures stay below freezing, the firn remains to be buried by more snow the following year. The weight of many years of accumulating firn eventually squeezes the deeper firn into ice. The ice at the bottom of a glacier is older than the ice at the top. Glaciers and ice sheets may store water for hundreds or even thousands of years. Today, glaciers are found only at high latitudes and at high alti--tudes, where the conditions are similar to the polar areas. Over 60% of the planet's fresh water is trapped in glaciers. Alpine glaciers are also called mountain glaciers because of where they are found. Continental glaciers, also called ice caps, cover large regions of rela--tively flat ground. Only two ice caps, the Arctic in the north and the Antarctic in the south, exist today. Together, they cover about 10% of the planet's surface and hold 20% of its fresh water. Much of the Arctic ice cap lies on the Arctic Ocean and is less than 10 feet (3 meters) thick, on average. Its thinness means that it melts relatively easily. By contrast, the Antarctic ice cap, located on the Antarctic continent, is 10,000 feet (3,000 m) thick and is much slower to melt. Glaciers or ice sheets can release (or calve) an ice shelf, a thick, floating platform of ice that flows onto the ocean surface. Ice shelves are only found in Greenland, Antarctica, and Canada. All frozen water, including snow, glaciers, and ice shelves, is part of the cryosphere. Permanently frozen ground, or permafrost, is also part of the cryosphere. Permafrost is found typically at high latitudes and some high altitude regions. When the ice melts, the water may flow into a stream and then into a lake or pond. Some of the water infiltrates the soil and rock to join a groundwater reservoir beneath the ground. Groundwater moves slowly through a rock layer or aquifer and eventually emerges into a stream, lake, or the ocean. Water is also absorbed by living organisms. Some of the water taken in by plants is returned to the atmosphere in a process known as evapotranspiration. The overall amount of water present on Earth changes very little. What does change is its location. For example, when much of the planet's water was trapped in glaciers during the ice age about 10,000 years ago, the sea level was lower. But once those glaciers started to melt, sea level began to rise. Solar energy arrives at the top of the atmosphere as UV or visible light. It passes through the atmosphere unimpeded by greenhouse gases, but about 50% of it is absorbed, scattered, or reflected by clouds. Scattering occurs when light strikes particles—atmospheric gases, water droplets, or dust—and then flies out in all directions. Reflection occurs when light bounces from a surface. Some surfaces reflect light better than others: For example, a snowfield reflects much more light than a mud pit. The measurement of the reflectivity of a surface is called its albedo. Objects that appear black absorb all visible wave-lengths, and those that appear white absorb none, meaning that black objects have much lower albedo than white objects. Of the radiation that reaches Earth's surface, 3% is reflected back and 47% is absorbed by water and land. After being absorbed, some of the light energy is converted to infrared energy and reemitted into the atmosphere as heat, some of which is trapped by green-house gases. If the process stopped there, the planet would just get hotter, but this does not happen because eventually the heat is radiated into space. When the amount of shortwave energy entering the Earth's system equals the amount of longwave radiation leaving, the planet's heat budget is in balance. When the system is not in balance, it is because the input of heat is greater than the output, and the planet gets warmer; or the output is greater than the input, making the planet cooler. WHAT SHAPES A REGION'S CLIMATE? Weather is the state of the atmosphere in a given place at a given time. While "hot" may describe the weather for a March day in Fairbanks, Alaska (at least relative to other March days), it does not describe the March climate of any part of Alaska. Climate is the long-term average of a region's weather. A region's latitude and position relative to the major wind belts are two important factors that determine that region's climate. The location's climate also depends on whether or not it is near an ocean, what types of ocean currents are nearby, where it is relative to mountains, and the local albedo. Earth's energy balance. The fate of incoming solar radiation in the atmosphere and at the Earth's surface. © The polar regions receive no sunlight at all for months at a time in the winter, while at the equator, day length shows little seasonal variation. © Near the poles, even in the summer, the Sun never rises very high in the sky, so its rays are filtered through a great wedge of atmosphere before they reach the ground. Near the equa--tor, the midday Sun is always overhead, so much more solar radiation reaches the Earth directly. This imbalance of entering solar radiation between the low and high latitudes is what drives atmospheric circulation. The atmosphere flows in great convection cells as it moves heat from the warm equatorial region to the cold polar regions. Near the equator, warm air rises. When the rising warm air reaches the top of the troposphere, it moves toward the poles. The air cools as it flows and becomes dense enough to sink at latitudes of about 30°N or 30°S. When this air reaches the surface, it is sucked toward the equator by the rising air, warming as it goes. The horizontal motion of air along the ground creates wind. When the air returns to the equator, the convection cell is complete. Convection cells are located at latitudes between 30°N and 30°S, 50° to 60°N, and 50° to 60°S, and at the poles. Earth's rotation influences the direction air moves by means of the Coriolis effect, which is the tendency of a freely moving object to appear to move to the right in the northern hemisphere and to the left in the southern hemisphere due to Earth's rotation. The six-cell model of global air circulation, showing the locations of high and low pressure cells and the directions of the major wind belts on the Earth's surface. it rises, and cool air can hold less moisture than warm air, locations where air rises (low pressure zones near the equator and at 50° to 60°) have high levels of precipitation. Locations where the air sinks (high pressure zones near 30°) experience more evaporation than precipitation. 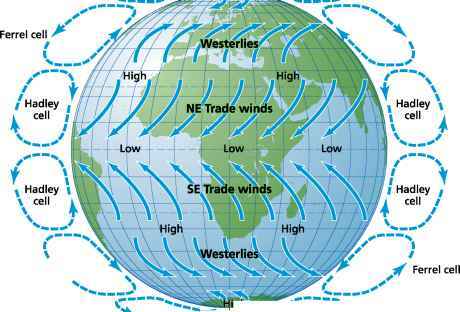 Air moves horizontally from high to low pressure zones, forming the major wind belts, which include the trade winds, between the equator and 30°N and 30°S; the westerlies, between 30°N and 30°S and 50° to 60°N and 50° to 60°S; and the polar winds. Convection cells are the framework for atmospheric circulation, although other factors also influence the force and direction of wind. Ocean currents transport heat around the Earth and influence regional climate as they warm or cool the air above the seas. The major surface ocean currents travel in the same direction as the major wind belts because the wind pushes the seawater. For example, the westerly winds drag North Pacific water from west to east, while the trade winds move surface currents from east to west both north and south of the equator. When these currents run into continents, the Coriolis effect causes them to turn right in the Northern Hemisphere and left in the South--ern Hemisphere. The currents flow along the continents until they run into an east--west moving current going in the opposite direction. The result is surface currents that travel in loops called gyres, which rotate clockwise in the Northern Hemisphere and counterclockwise in the Southern Hemisphere. The North Atlantic gyre has an enormous influence on the climate of northern Europe. At the southern part of this gyre, seawater is warmed by the Sun as it moves from east to west across the equator. When it hits the Americas, the current turns right (north) and becomes the Gulf Stream, a swift warm water current that raises air temperatures along the eastern United States and southeastern Canada. At the northern part of the gyre, the Gulf Stream swings right, away from North America and toward Europe, where it divides into two segments. One segment moves south toward Africa, completing the gyre, while the other moves north, along Great Britain and Norway. The northern current, called the North Atlantic Drift, brings fairly warm Gulf Stream water into the northern latitudes. This current creates air temperatures in the North Atlantic that are 5°F to 11°F (3° to 6°C) warmer than those of other regions at the same latitudes. As a result, although London is at 51° north latitude, several degrees farther north than Quebec, Canada, its climate is much more temperate: Rain instead of snow predominates in London during winter. Besides influencing air temperature, ocean currents also affect precipitation levels because warm water currents bring more moisture and therefore more rain to a region than do cold currents. Ocean currents also distribute heat from surface waters into the deep ocean. North Atlantic water sinks into the deep sea because sea ice formation removes the fresh water and leaves behind water that is very saline and very cold. (Water density is a function of temperature and salinity; cold saline water is densest.) After sinking, the water flows toward Antarctica and circulates through the deep sea until it rises to the surface at various locations, mostly near continents. The vertical movement of ocean currents is known as thermohaline circulation (thermo means heat and haline means salt), which is very sensitive to surface ocean temperatures and surface ocean salinity. 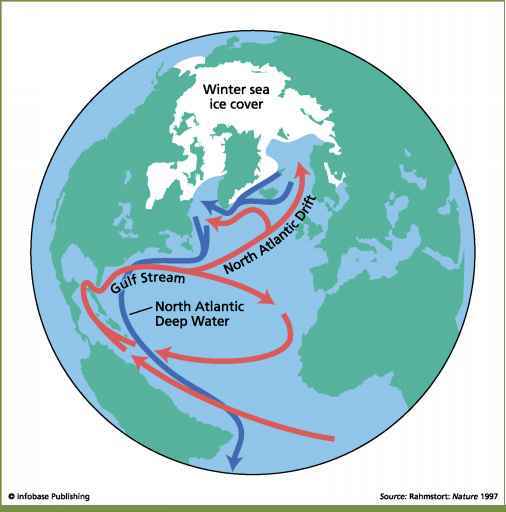 Thermohaline circulation drives Atlantic meridional overturning, which brings warm surface waters (such as the Gulf Stream) north and pushes cold deep waters south. A region's location relative to surface ocean currents strongly influences its climate. Simply being near an ocean also influences an area's climate. A surface that is covered by earth materials (rock, sand, and soil) will become hotter than one that is covered with water, even if the two surfaces are exposed to the same amount of solar radiation. This is because earth materials have higher specific heat, which is the amount of energy needed to raise the temperature of one gram of material by 1.8°F (1°C). Because land absorbs and releases heat more readily than water, the air temperature over land is much more variable: Summer temperatures and daytime temperatures are hotter, and winter and nighttime temperatures are colder. A climate in a region with no nearby ocean is considered a continental climate and will therefore experience a great deal of temperature variation. A climate with a nearby ocean that moderates its temperatures, both daily and seasonally, is a considered a maritime climate. Maritime climates are even more moderate if the prevailing winds come off the sea. The mild summers and winters of San Francisco, California, when compared to the extreme seasons of Wichita, Kansas (both cities are at latitude 37°N), are testament to the moderating effects of the Pacific Ocean. Land can only store heat near the surface, but the oceans can store heat at great depth. This is why land temperatures appear to rise more than ocean temperatures. Water has high heat capacity, which means that it can absorb large amounts of heat with very little temperature change. Atlantic meridional overturning. Warm water from the equatorial region flows up eastern North America as the Gulf Stream. The current splits, with a portion returning to the equator, and another portion flowing northward as the North Atlantic Drift and bringing warmth to Great Britain and northern Europe. In the North Atlantic, sea ice formation and low temperatures make the surface waters cold and dense so that they sink, becoming North Atlantic deep water. Altitude affects the climate of a region as air temperature decreases with height above sea level. For example, the high reaches of Mt. Kilimanjaro, Tanzania, at the equator, support glaciers even though the surrounding countryside down below is swelteringly hot. *Lowest albedo in a natural land environment due to color of trees and scattering of sunlight by trees. Source: C. Donald Ahrens, Meteorology Today: An Introduction to Weather, Climate, and the Environment, Brooks/Cole, 2000. Albedo affects climate locally and globally. A location with high albedo, such as a glacier, reflects most of its incoming solar radiation and so remains cool. If the ice melts, the swamp that replaces it will have much lower albedo, and the ground will absorb heat. In that latter scenario, the warm swamp warms the air above it, which may alter atmospheric circulation and affect global climate. Understanding carbon is extremely important to understanding climate. The two most important greenhouse gases, carbon dioxide and methane, are carbon based. Carbon only affects climate when it is in the atmosphere, but to understand the effect of carbon-based gases on climate, it is necessary to understand how these gases move through all of Earth's major reservoirs: the atmosphere, biosphere (living things), geosphere (the solid Earth), and hydrosphere (fresh water and oceans). The carbon cycle describes the movement of carbon between these different reservoirs. 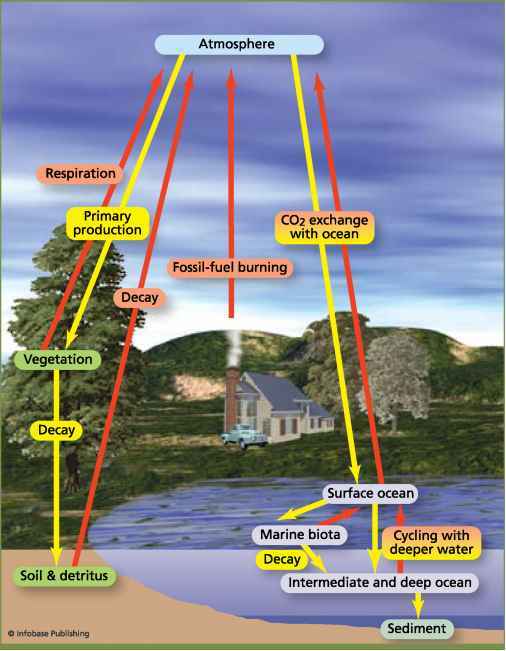 The carbon cycle, showing inputs of carbon into the atmosphere and outputs of carbon from the atmosphere. Carbon also freely enters the ocean. CO2 readily dissolves in sea-water, making the oceans into enormous carbon reservoirs. Marine organisms use CO2 from seawater to make carbonate shells and other hard parts. (A carbonate compound contains the carbonate ion CO3. Most carbonates, including calcite and limestone, are calcium carbonates [CaCO3].) After the organisms die, some of the shells sink into the deep ocean, where they are buried by sediments. (Sediments are fragments of rocks, shells, and living organisms that range in size from dust to boulders.) This carbonate may later become part of a rock, often limestone. The balance between the acidity of seawater and the dissolution of carbonates keeps the pH of ocean water in balance. (An acid has free hydrogen ions and can be neutralized by an alkaline substance. The measure of the balance between a solution's acidity and its alkalinity is called its pH.) Earth processes transport some of these sediments deeper into the planet's interior. Note that in photosynthesis, CO2 is converted to O2, while in respiration, O2 is converted to CO2. CO2 sequestered in sediments, rock, Earth's interior, or living things can be rereleased into the atmosphere. For example, if carbonate rock is exposed to the atmosphere, the rock weathers and releases its CO2 into the atmosphere. Volcanic eruptions tap CO2 sequestered in Earth's interior and inject it into the atmosphere. Forests lose carbon to the atmosphere if they decompose or are burned. CO2 is rereleased into the atmosphere when fossil fuels are burned. Scientists estimate that recoverable fossil fuel reserves contain about five times as much carbon as is currently in the atmosphere. Water temperature affects the ability of the oceans to store carbon. Cold water holds more gas, so cold seawater absorbs CO2 from the atmosphere. Conversely, gases bubble up as seawater warms and re-enter the atmosphere. Like carbon dioxide, methane enters the atmosphere in a variety of ways. Methane forms primarily as single-celled bacteria and other organisms break down organic substances—sewage, plant material, or food—in the absence of oxygen. Methane enters the atmosphere during volcanic eruptions and from mud volcanoes. Methane is the primary component of natural gas, which forms in a process that is similar to the process that forms other fossil fuels. Natural gas formation removes methane from the atmosphere. The methane is rereleased into the atmosphere when natural gas is burned. The atmosphere also loses methane when CH4 undergoes a reaction with hydroxyl (OH) ions. Over time, atmospheric methane breaks down to form CO2. Living plants may also add methane to the atmosphere, although scientists are just beginning to explore this idea. Methane is found in offshore sediments in enormous quantities as methane hydrates. These compounds develop at depths of 660 to 1,650 feet (200 to 500 m) below sea level when decomposed organic matter contacts cold water at the high pressures found deep in layered sediments. Water molecules form an icy cage (a hydrate) that contains a methane molecule. The molecule's structure is unstable; when the pressure is removed from the hydrate, the structure collapses, and the methane escapes. Methane hydrates can also be used as fuel, although the technology for mining them and harnessing their energy has not yet been developed. Thousands of gigatons of methane, equal to the world's total amount of coal, are located in the oceans. Earth's climate is a complex system. In any location, climate is deter--mined by latitude, proximity to an ocean, position relative to atmo--spheric and oceanic currents, altitude and albedo, plus other factors. One of the most important determinants of Earth's global climate is atmospheric greenhouse gases. Because greenhouse gases trap some of the heat that radiates from Earth's surface, an increase in their abundance causes global warming, the ongoing rise in average global temperatures. Due to their abundance, the carbon--based gases carbon dioxide and methane are the most important greenhouse gases. Carbon cycles in and out of the atmosphere: It is sequestered in vari--ous reservoirs, such as fossil fuels and trees, but it is also released back into the atmosphere when, for example, those commodities are burned. Small changes in any of the features that regulate climate may cause the climate to change locally or globally. These changes and their effects will be described in the next two chapters. 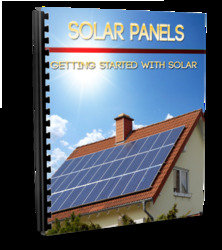 This is a product all about solar power. 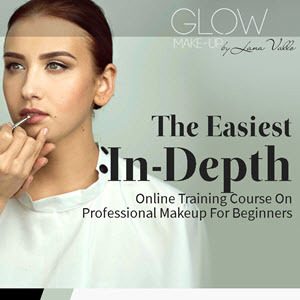 Within this product you will get 24 videos, 5 guides, reviews and much more. 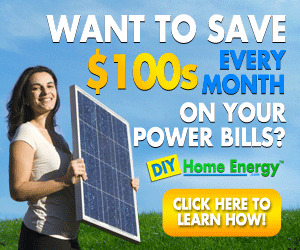 This product is great for affiliate marketers who is trying to market products all about alternative energy.